Movement is a must, and competition is fun! I think a little competition is healthy, even if it’s just competing with yourself to do better. I also think it adds a little motivation. 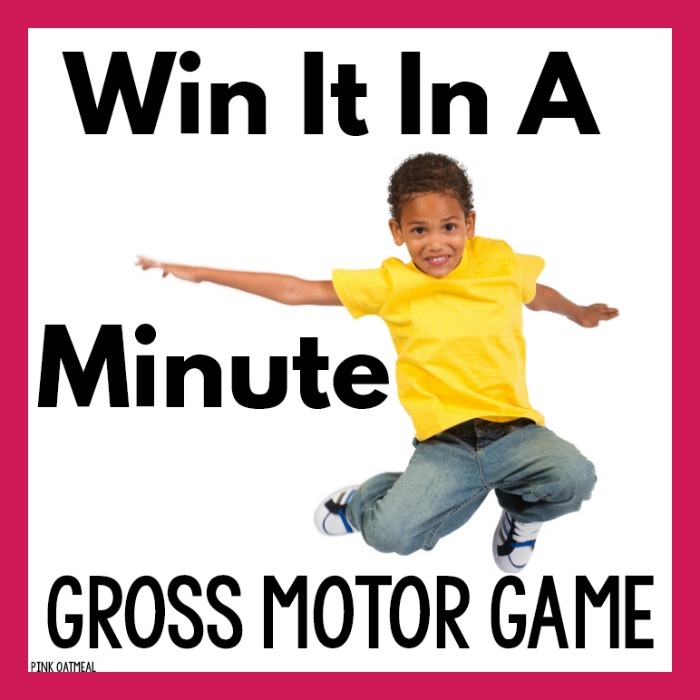 One of my favorite gross motor games to play is a gross motor version of Win It In A Minute! 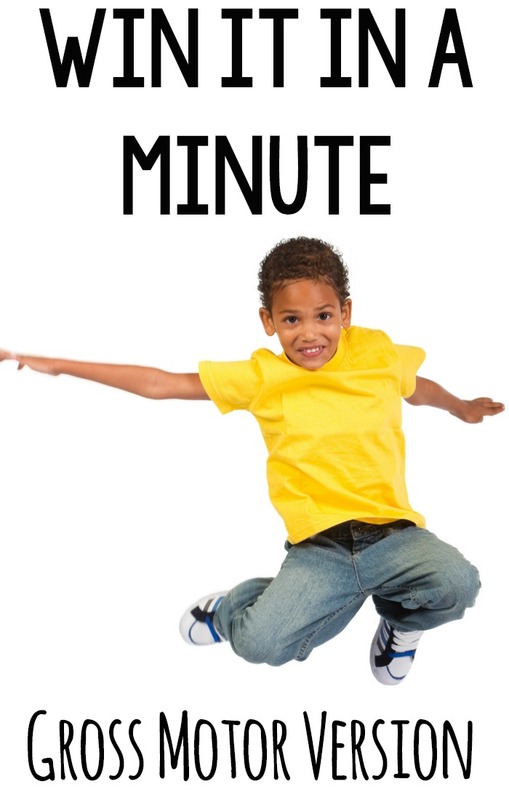 This game is perfect for a brain break, game day, or to use in therapy. It accomplishes the goal of getting the kids moving! In Therapy: This can be varied depending on how many students or how the instructor would like to play the game. As a therapist, I let the child draw their card and I start the timer and we count. We may do 5-10 or more depending on the student and the situation. Sometimes we play it just that one time, and other times we will come back in a few weeks and play it again. It would also work well in therapy groups as students would be able to count for each other or compete against each other depending on the situation. In The Classroom: This is the perfect opportunity for a brain break. Since each card is performed for a minute the instructor can select as many minute long activities as they feel suitable. Students can track their performance and compare how they did prior. It can be used as a game between students. It can just be played with no competition necessary. 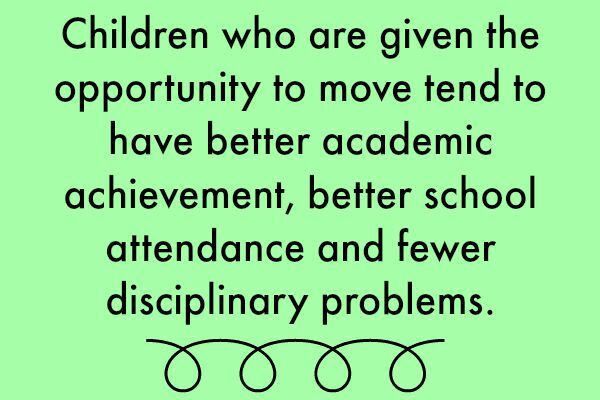 The main goal is to get the students moving! These are just so much fun plus have the benefit of extra movement! Some of the gross motor movements are repeating an activity. Others involve a sequence of activities. A full sequence can be counted as one point! If you love these you can grab a set in the shop! Like the game but don’t want to take the time to put it all together? I don’t blame you and we’ve got you covered at Pink Oatmeal. 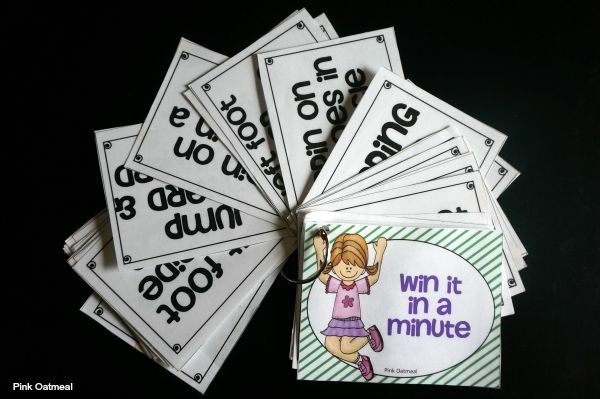 A downloadable set of Win It In A Minute Cards is available for quick and easy access to the game. If you would like to get your own set they are available at the shop. The brain breaks don’t stop there. If you are looking for fun and engaging ways to move for any time of the year you must check out all the brain breaks available through Pink Oatmeal!